1. When I first started doing Euro (I was a big 5U guy before that...), I was warned off of Stackables by Grant Richter. I think that he'd had some issues with people complaining about tall stacked sets snapping things, and I also think the Stackcable was one of the cables that caused the shorting on the old Envelator. While I'm not that concerned about damage to my system, that's always been barking in the back of my mind. 2. (And the more-real reason) I've got kind of big fingers. When I use Stackcables, their fat-ish tip housings get really tight, and don't allow me much finger room when patching. 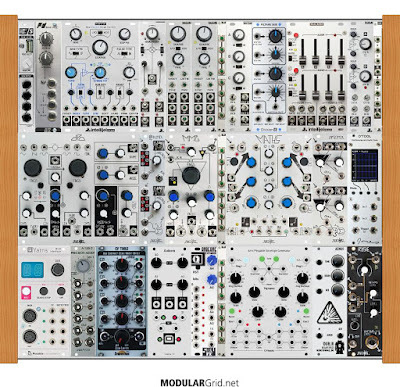 And I'm a very active patcher: I generally start each gig with my modular unpatched and do everything live from there. As a result, anything that is a speed bump for me is a problem, and both inserting and removing Stackcables is too slow for my preference. That being said, I really love the build quality of Stackcables, and wish that I feld comfortable using them. But I don't. 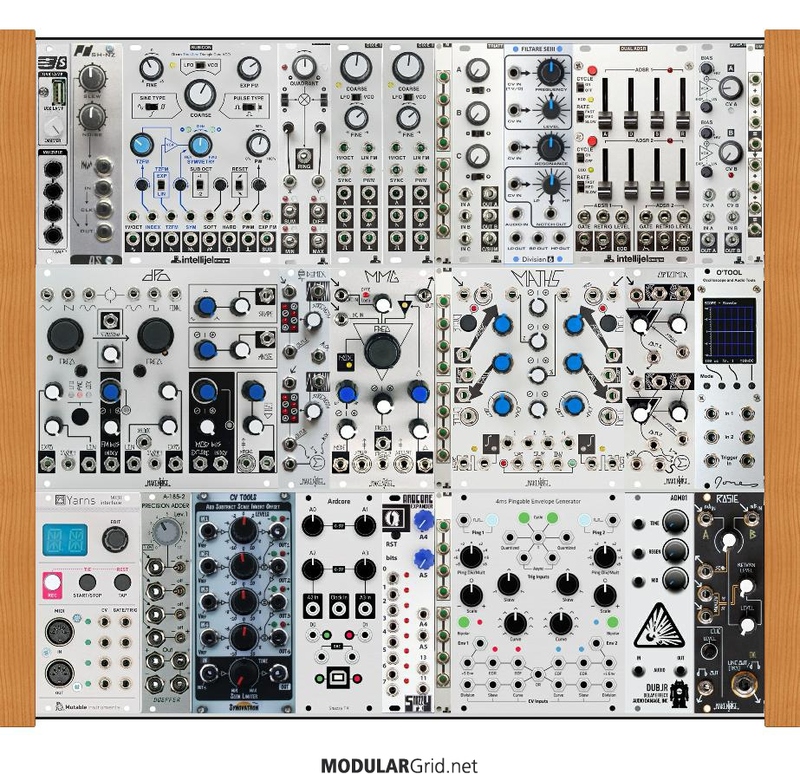 This is one of those cases where I really love using a modular: just because one thing doesn't fit me doesn't mean that the whole thing has to get junked! stoked the blog is firing up again, the A-185-2 might be just what I've been looking for. Yeah - my next tips&techniques entry has to be about the A-185-2; I can't believe it isn't in more people's toolbox. me too, which is probably why I hadn't found it until now.